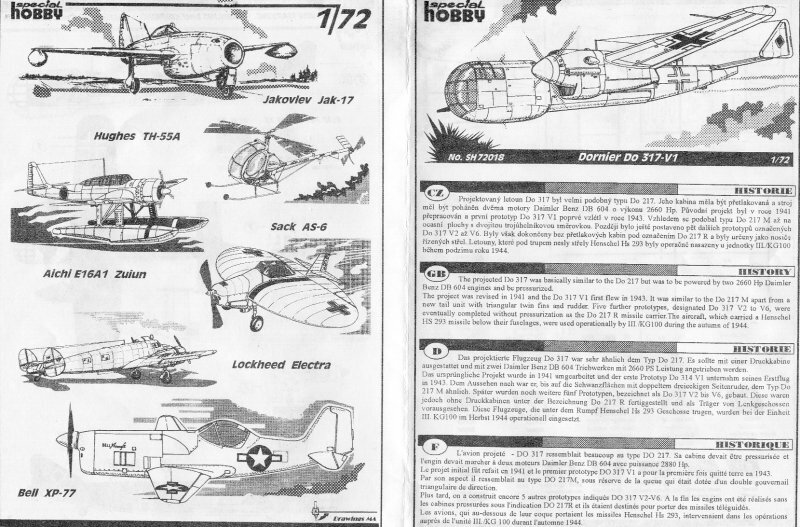 Surprisingly, six Do-317s were built and flown...one initial prototype (V-1) and five more (V-2 to V-6) that were later designated Do-217R and used to carry the HS-293 missile. 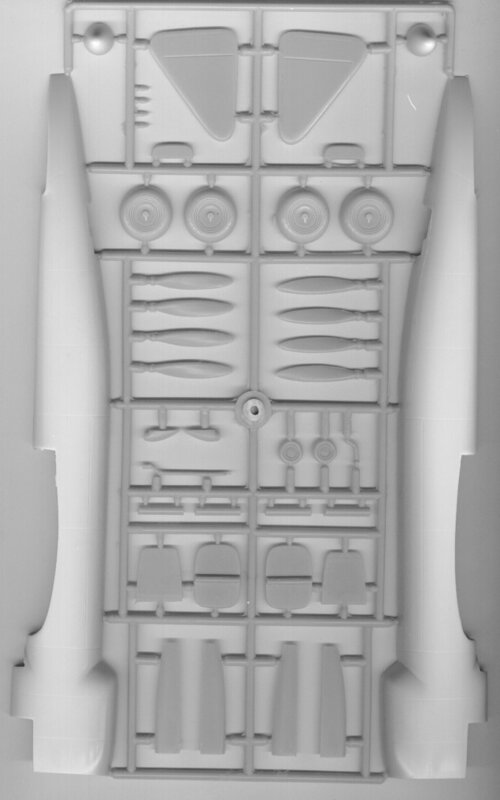 The kit (which has a 12' wing span) features three sprues of 55 'short run', injection moulded parts, with fine engraved panel lines and a little bit of flash around the wheels and U/C legs. 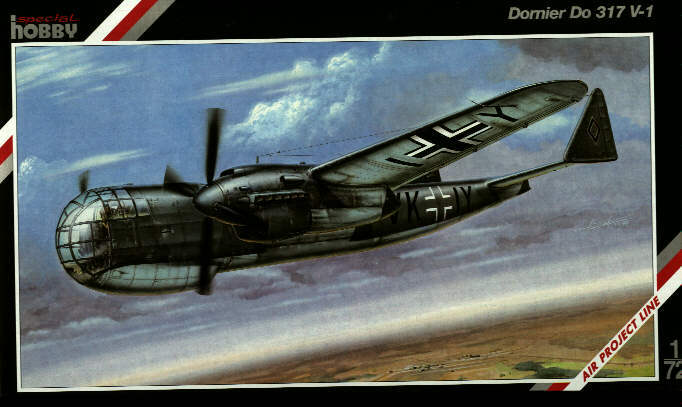 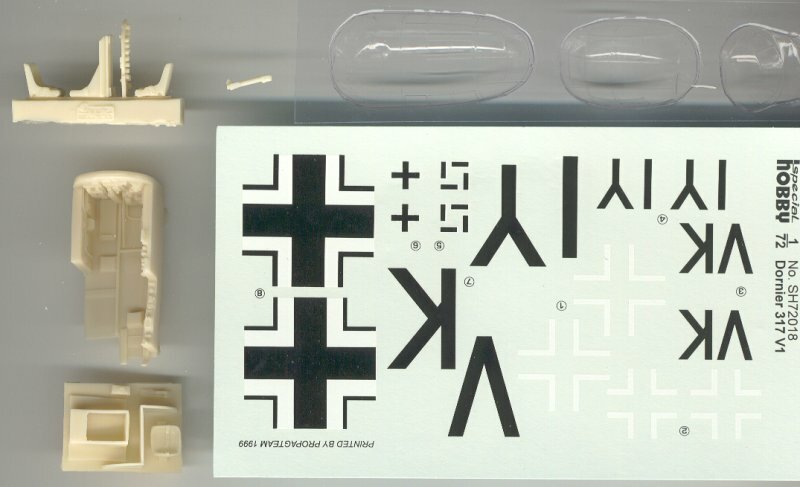 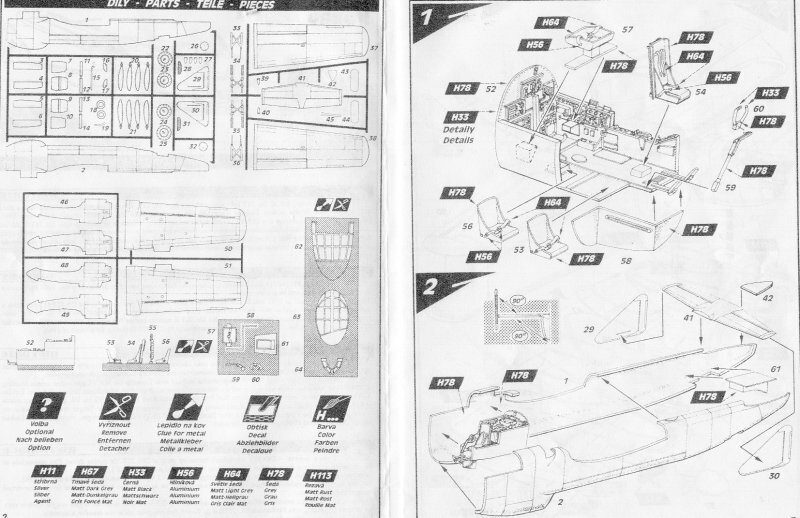 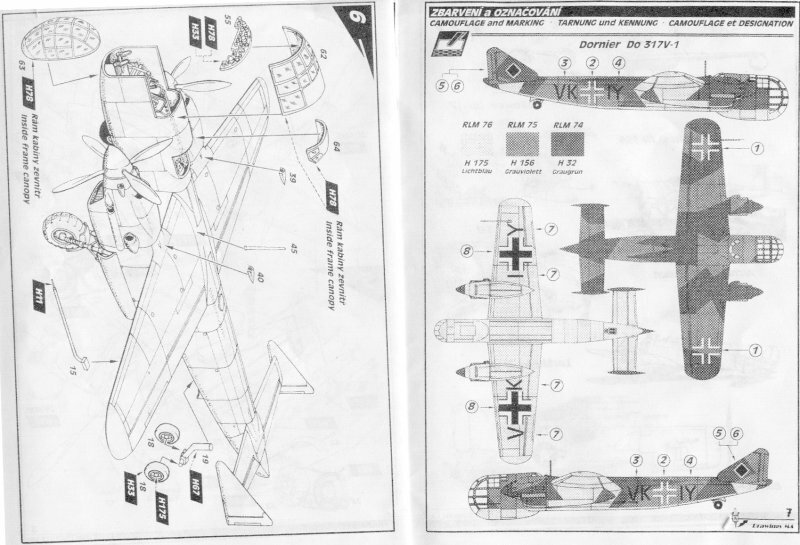 There are also three very clear vac form 'glazings', two resin interior detail 'tubs', plus three resin seats and an instrument panel... and a set of Propagteam decals with markings for the first prototype (V-1). 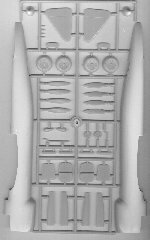 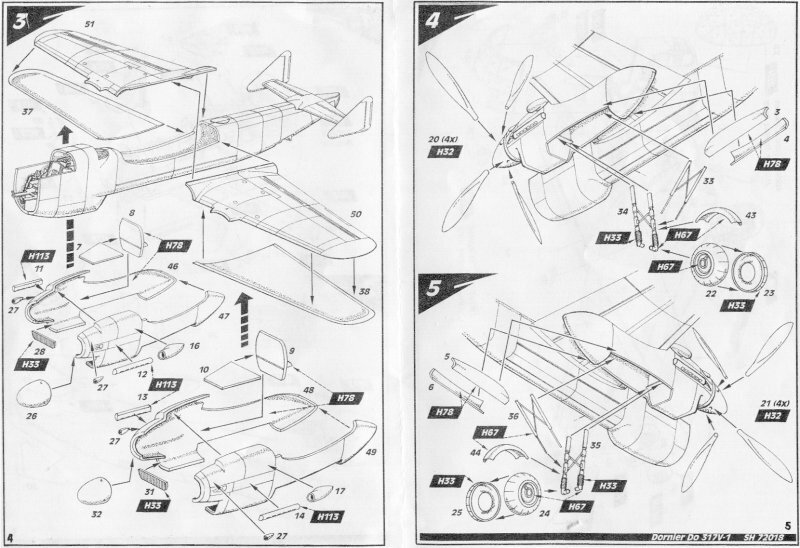 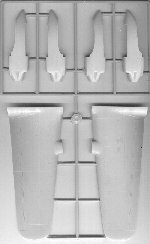 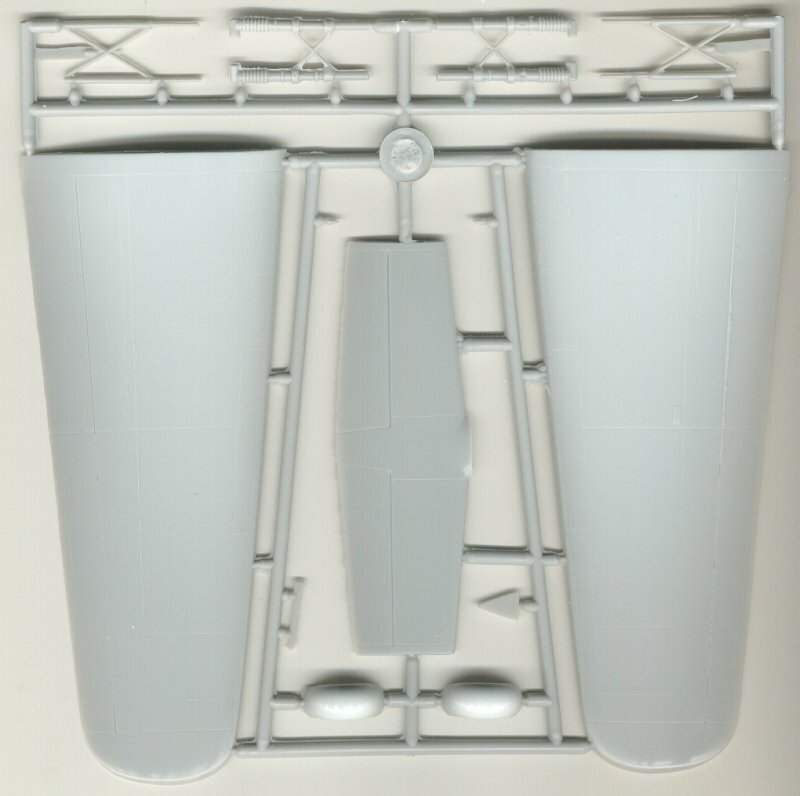 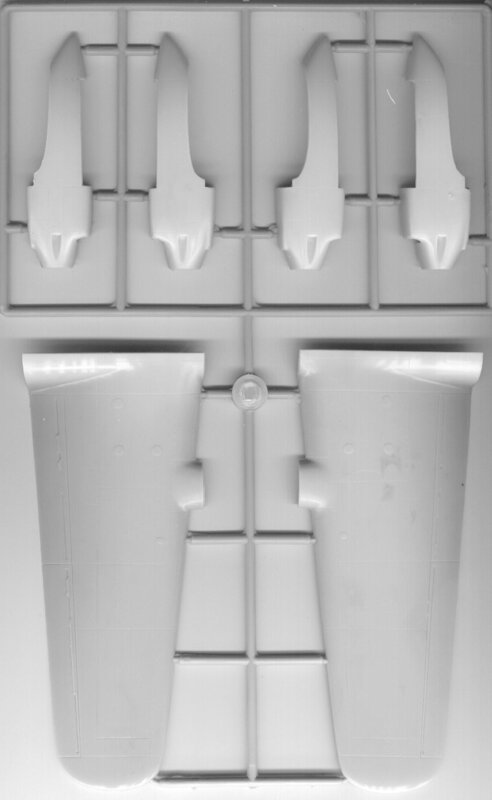 This is a fairly straight forward and simple kit...with a highly detailed interior, thanks to the resin 'tubs'...however, there's no detail in the wheel wells and the surface of the wings feels 'rough', which means they will require a bit of sanding with wet 'n dry, before assembly.